O'Daniel will make sure you get top dollar for your vehicle. Our process is quick, simple and easy thus ensuring you get the best price. 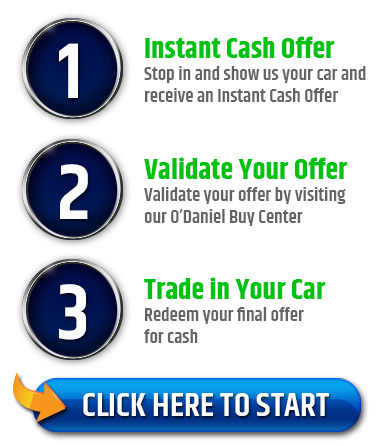 WHY SHOULD I SELL MY CAR TO O'DANIEL AUTOMOTIVE? O'Daniel Automotive Group is a family owned collection of 4 dealership locations, selling nine automotive brands. O'Daniel Automotive Group sells hundreds of new and used vehicles per month which allows us to offer top dollar for your vehicle.